Bringing this post back out of archives, because it wound up buried beneath John's crazed run of posts about all the other great goings-on for the past couple weeks. 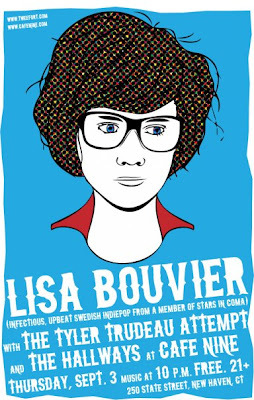 Lisa Bouvier hails from Malmö/Lund/Karlshamn, Sweden. 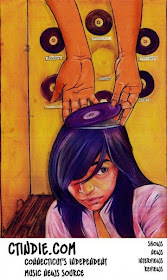 She plays infectious pop music that straddles the pop punk line. Covering such topics as love and longing, Bouvier and her band, The Pop Messengers, keep heads bobbing and toes tapping. A busy woman, Bouvier splits her time among multiple other bands, including indie pop blog darlings, Stars in Coma. New Haven’s The Tyler Trudeau Attempt has been compared to Elvis Costello, Billy Bragg, The Ramones and Richard Hell. Really it's just great poweer pop. 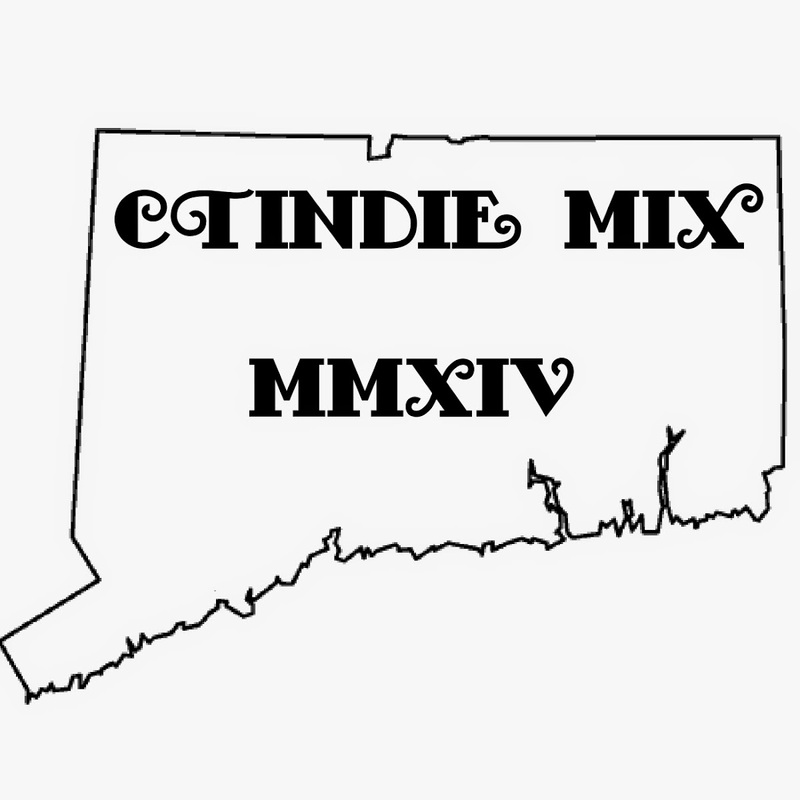 They can be seen on stages all over the state of Connecticut. The New Haven Advocate said the following about The Tyler Trudeau Attempt’s EP, In My Despair I Took Up Painting: "[In My Despair, I Took Up Painting is] an EP brimming with social satire, gleeful punk music, enough organ for a prog band and Trudeau's instantly recognizable whine... The TTA looks back to the roots of punk and finds something immensely energetic, often hilarious and always political. On top of that, it's catchy as hell." The Hallways are a three-piece pop band from Fairfield that feature guitar, drums and a stand-up bass. Guitarist Nathan Hall writes and sings Smith’s-inspired pop tunes.